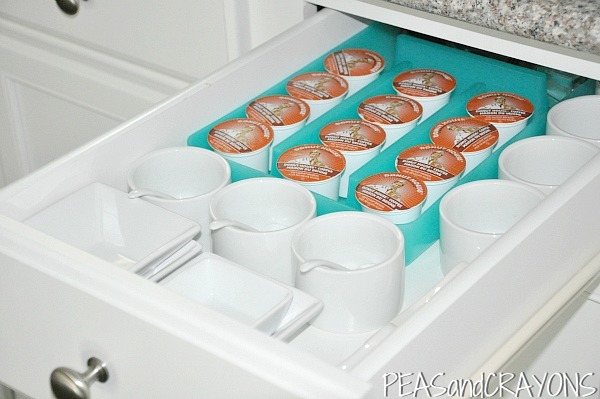 Let’s get our organization on today with this easy K Cup Storage Idea! Cleaning… is totally not my thing. I’ll put blogging, reading, eating, playing, banging my head against the wall, partying, and just about anything else before cleaning. But, being the neurotic individual that I am, I also can’t handle a messy house. So now that everything I own is moved into the new house and put away (and by away, I mean put anywhere it will fit!) it’s time to organize the cah-rap outta this place! Everything needs a home! Starting with the k-cups for my morning cup-o-yum. The drawer closest to the Keurig [my darling coffee robot] was naturally the best place to store these babies. Luckily I’m a pack-rat and just so happened to have several plastic cutlery organizers that I’ve been hoarding holding onto since college. I’ve learned to never ever throw away an old drawer organizer, they can be re-purposed into just about anything. Just maybe don’t try to wear one as a hat. Anywho! I’m a little embarrassed to admit how flipping excited I was when the K Cups fit perfectly into the caddy. My [K Cup] runneth over. 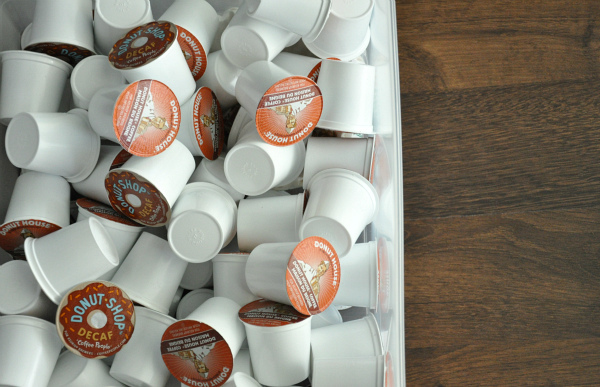 For those of you that use K Cups… where do you keep your stash? For everyone else, which is your favorite: Coffee or Tea? I have a over the cabinet door basket I throw them in. It’s not orderly but I get quite a few compliments on it! Another great idea!! My K-cups are “embarrassingly” thrown into the closest drawer!! LOVE your clean drawer! Last summer (or maybe the summer before), Target had stackable plastic bento boxes like the ones at http://www.plasticashop.com/mm5/merchant.mvc?Screen=PROD&Store_Code=P&Product_Code=BNTOBXR (though much cheaper), and though it looked great on my counter, I wasn’t really using it too often. Discovered recently that it fits K-cups perfectly (8 in each of the 4 lunch box layers), so I have different types of K-cups in the different levels, and have the bento box (which is red, yellow, and orange) right next to my red mini Keurig. Makes me happy to find a home for my k-cups and a use for the bento box! it really is i got mine new at the good will for only 75.00 our good will gets alot of target merchandise and when i saw it on the shelf i was like everyone out of my way lol!! we got a dolche gusto once there it didnt work so i just boxed it and had my hubby return to target hey 50 bucks was better then the 89.00 at target and thats where it was from anyway we did an exchange! It is one of the best inventions ever! =) I use mine for teas and cocoa too! Is the Keurig worth it? I’m so tempted to ask for one for Christmas… but our kitchen is so small… decisions decisions. Fantastic job! It turned out great and gorgeous colours. Thanks for sharing. I love how everything fit so perfectly! Are those the little bowls you were telling me about? I keep K-cups in my turn cart, but that doesn’t keep very many visible. The rest are just stashed in cabinets. I love your organization of them though! One of my favorite K-Cups is the Southern Pecan. Good job with the organizing! I’m definitely a tea granny. While I love the smell of coffee, the taste is kind of gag-inducing. I wish that I liked it, because it smells heavenly! Donut Shop coffe is my faveeeeee! Have you tried their chocolate donut and cinnamon roll flavors? If not…you must 🙂 I just keep them in their boxes in a cabinet but your idea is great and convenient! I’m obsessed with K-cups. And the fact that my work let’s us choose our own flavor, if we want, each order … yea. At work we keep them neatly stacked in a cupboard. My friend, however, keeps her in her hold suguar canaster. She was recently married and got a matching set. Because this one doesn’t say sugar, she re-used it as a holder for her K-cups. Yeah I don’t think I could choose a favorite between coffee and tea. They both have their time and place! Although the boy, you know, the one that eats nothing but processed crap, was telling me coffee was bad for me (ironic) so I went without it for a couple of days just to prove I could. HA! Its clean and uncluttered, just a little disorganized. are you trying to make me jealous that i don’t have a keurig? What a perfect storage unit! 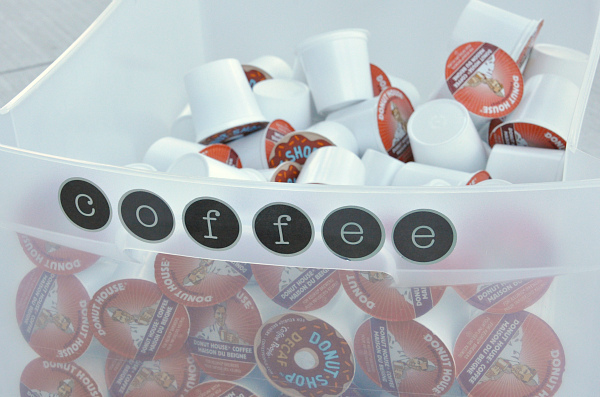 I have my k-cups sitting in their dang box…I need one of those! But I’m pretty much a Keurig fanboy. Lol. Oh hey. Your K-Cup Collection is AWESOME. We are getting a keurig for our wedding 🙂 I can’t wait. I love Gloria Jean’s Butter Toffee!! Oh so smart! Love that drawer! I keep my tasmio pods in a media box of all things, right next to my maker. It works, but after seeing this I am wondering if I have it in me to ditch my junk drawer right below and stash my goodies there instead. I have two drawers from Bed Bath & Beyond (can you say 20% off coupons) that stores the k-cups and the Keurig sits on top of the drawers. The rest are in the “coffee cart” which used to be our microwave cart but now houses everything coffee. COFFEE and the dark chocolate hot chocolate. ooh i love k cups. i want to try Dunkin Donuts k cup! 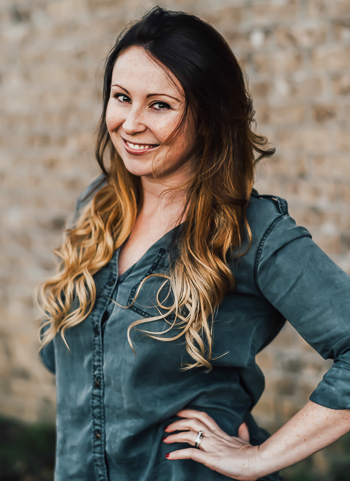 I love this post because it involves coffee! 🙂 Right now, my Kcups (and I have many!) 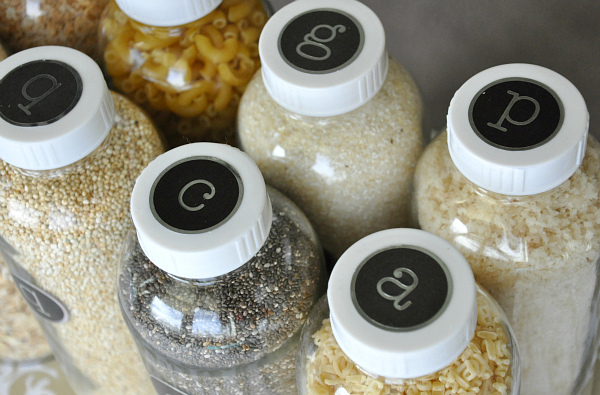 are in little containers in a cabinet. I would like to get the Kcup Drawer Holder from Bed Bath & Beyond soon. My favorite kcup right now is definitely the seasonal pumpkin spice! I love all flavors of K-cups that I’ve tried, but my favorites are the Pumpkin Spice coffee and the English breakfast tea. This is what I use to organize my huge stash: http://www.bedbathandbeyond.com/product.asp?SKU=17470116 It fits under my Keurig.